From concept to completion, we are your Prince George decking experts. We are committed to building and installing durable, long lasting, waterproofing decks that look great and are able to stand up to not only to the harsh, wet, BC winters, but also those hot, sunny, summer days. As your local Tufdek vinyl decking dealer, we bring over 15 years of experience to your new deck construction or renovation. We know just how to upgrade and improve your sundeck, patio, balcony, or roof deck, or even add additional square-footage if needed. We work with reputable decking manufacturers and we are the authorized Tufdek™ vinyl decking dealer for Prince George and the surrounding areas. 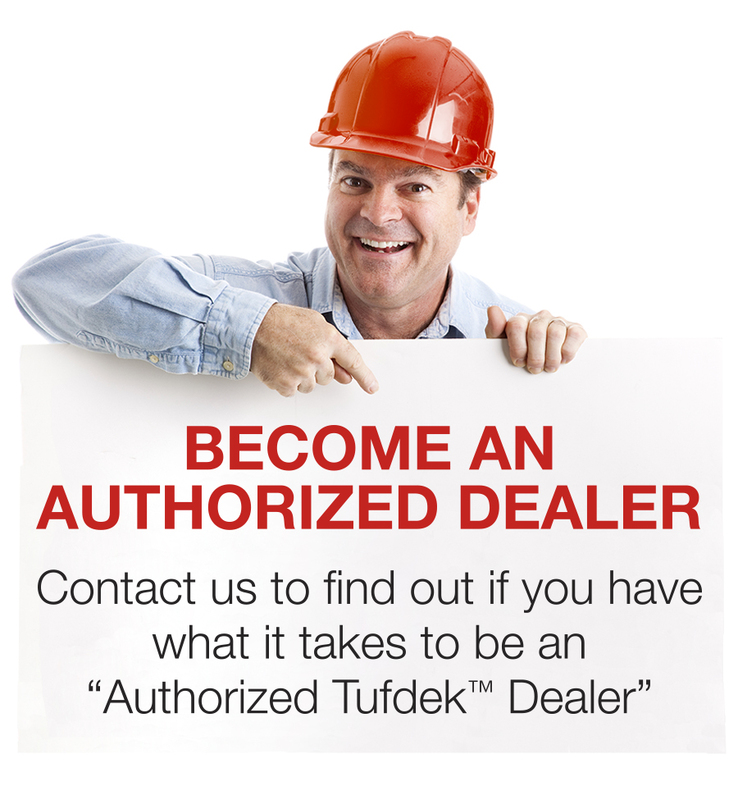 As an authorized Tufdek™ dealer we have undergone factory training and offer Tufdek’s™ comprehensive vinyl decking warranty – one of the best in the industry! The Tufdek™ waterproof vinyl decking product is recommended for installation on both commercial and residential roof decks, as well as pool decks, patios, balconies, and even steps. For your peace of mind, we offer insurance coverage through a third-party provider and we are professionally affiliated with WorkSafe BC. Ask around and you’ll find that our reputation is based on integrity, experience, service, and dedication. We also install deck railings and stairs! To learn more about our decking company and how we can replace your worn-out vinyl deck or install Tufdek™ vinyl decking on your brand-new rooftop patio or porch, please call 1-877-860-9333 or complete the following contact form.